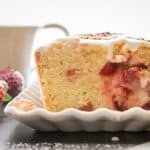 Strawberry Quick Bread, an easy made with fresh Strawberries sweet loaf, the perfect dessert, snack or breakfast treat. It seems I can’t keep strawberries for more than 10 minutes in my house. My daughters love them. I was never even liked strawberries until I was pregnant. When all I would crave were strawberries. I have never baked them before until I was given this recipe from yes once again, my cousin. It is actually a muffin recipe but I decided to make it into a sweet bread. And it worked. 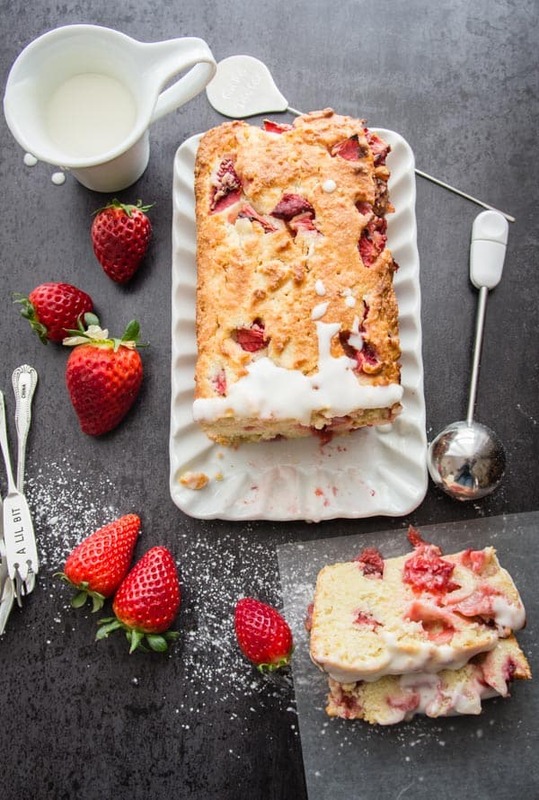 I served this Fresh Strawberry Quick Bread as a dessert for a get together, I added a simple white glaze to it and it was pretty well all eaten up by the end of the evening. I think my eldest daughter loved it the most, every time she took a slice she remarked “you know Ma this is really good”! 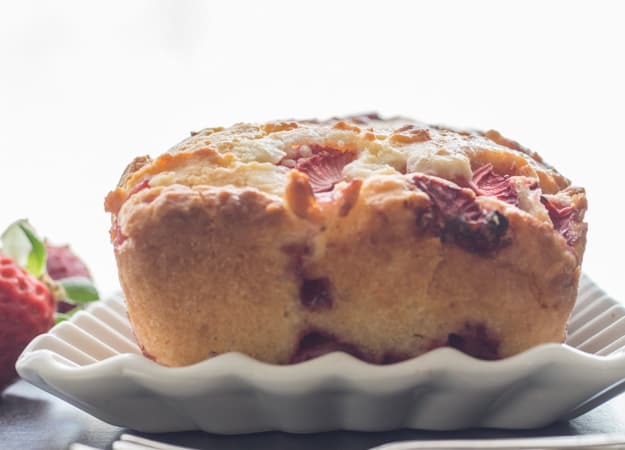 You can always tell when something is a success in this house, when desserts, whether they are sweet breads, muffins, cakes or pies are constantly sliced and eaten. When one after the other they drift into the kitchen, pick up the knife, cut a slice and drift back out just to return again in 10 minutes and the cycle continues until there isn’t a crumb left. 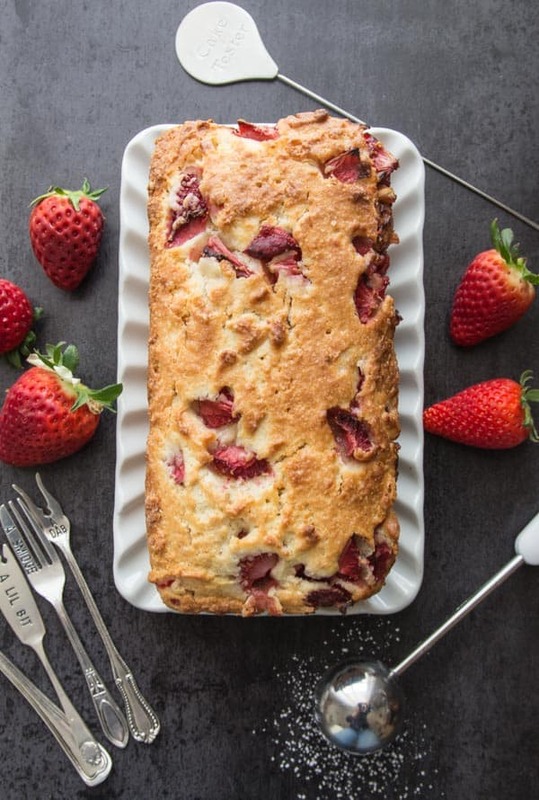 Whether you decide to make this Strawberry Quick Bread into a sweet loaf or muffins, glazed or not, I hope you like it too! Enjoy! Pre-heat oven to 350°F (180°C Celisius). Grease and flour a 9 - 9 1/2 inch (24 centimeter) loaf pan. Spoon batter into prepared loaf pan, if desired sprinkle with topping**. Bake for approximately 45 - 50 minutes. Let cool completely before drizzling with a simple glaze. **topping - mix 3 teaspoons brown sugar and 1/2 teaspoon cinnamon. 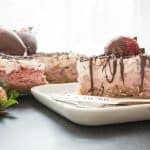 Other Easy Fresh Strawberry Dessert Recipes you may Enjoy! 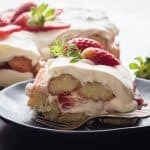 Needed a quick recipe for an improtu dinner and this was it! Easy and so moist but not soggy. Everyone raves about the bread. You made me look like a super chef! Hi Lisa, thanks so much, so glad everyone loved it and you looked like a super chef! Have a great week. Just made and put in the oven. Is it supposed to be very thick and hard to mix? I hope I didn’t do anything wrong. I’ll keep you posted. Wish me luck. Hi Maureen, yes it is quite thick. Let me know how it turns out. 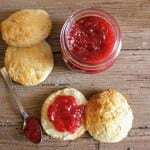 I made this today & it is as easy and delicious as described! Thanks so much for a great recipe. Just one question- how do you keep the glaze so white? Mine darkened a bit from the vanilla & is not as pretty as yours. Hi Katherine, thanks so much, I think it is the vanilla, vanilla here is a clear colour and I noticed in Canada anyway it has a bit of a yellow tint. But as long as it’s good. :) Have a wonderful Easter. 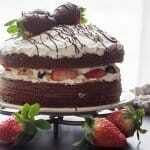 Strawberries always disappear quickly here as well! Looking forward to trying your bread! Happy Easter! Thanks so much Michelle, have a great week. So happy everyone liked it so much!! I will have to try making it as a loaf. I like that idea ! Hi Benny, thanks, sounds good to me. Have a wonderful Easter.